We welcome approaches from all media, whether national, regional, or local. Please contact our communications team for interviews, case studies, and comments relating to loneliness and isolation. If you would like to talk to WaveLength about any of the above, please get in touch via e-mail or by calling 01708 621101. We are open Monday to Friday, 9am to 4pm. We will get back to you as soon as possible. Please see below some press coverage relating to our work. ‘Hornchurch loneliness charity calls on groups to raise £80 for 80 years‘, Romford Recorder, 28th March 2019. Tim Leech comment on ‘4,000 Public Computers Slashed From Libraries And Jobcentres Under ‘Austerity Cuts‘, Huffington Post, 17th March 2019. Tim Leech interview with 4Legs Community Radio, 22nd January 2019. Tim’s interview starts at 1:23:00. Tim Leech interview for The Richard Stead Breakfast Show, BBC Radio Leeds, 13th February 2019. 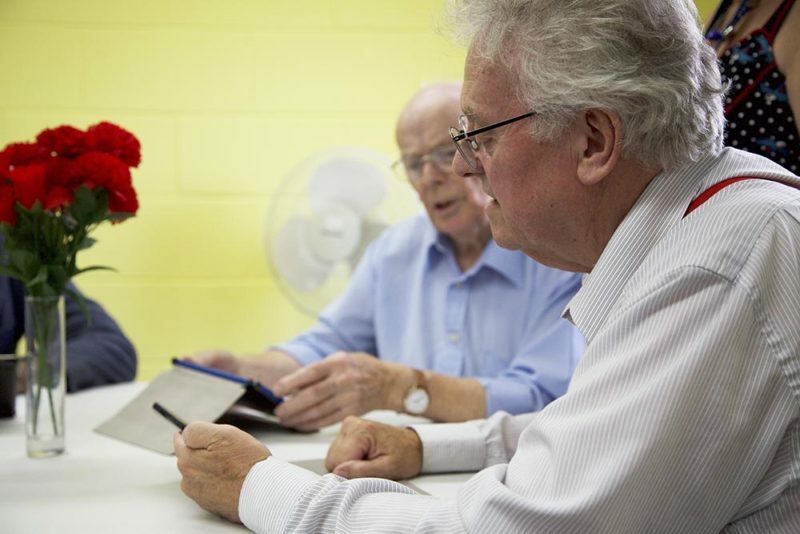 ‘Window into the world’: Charity connects lonely people through technology, Romford Recorder, 25th January 2019. Tim Nokes Christmas Day Run, January 2019. Power of Sound: How radio can help combat loneliness, The Skinny, 2nd October 2018. MSN chosen charity for loneliness campaign, June 2018. Changes to TV license for refuges press release, November 2017. BBC Radio Humberside interview on ‘The Big Connect’ Research, 23rd March 2016.